It’s back to Austria today in honor of the Gugl Games. 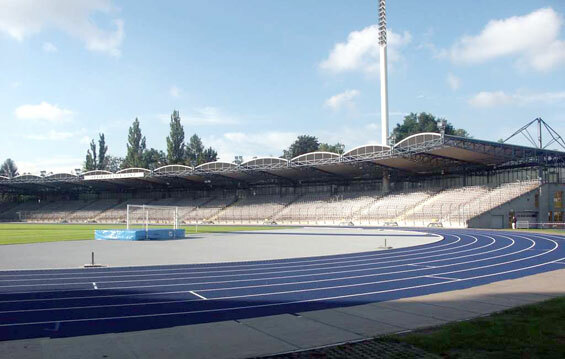 This track meet will be contested on today’s track at Linzer Stadion. 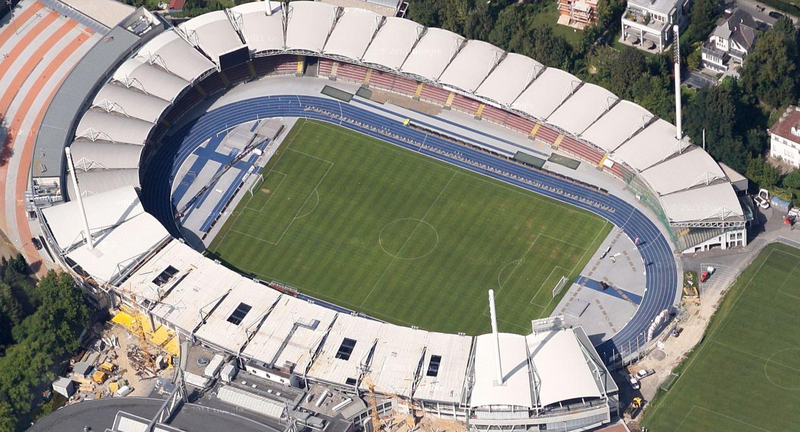 This is a stadium that opened in 1952. It’s capacity is listed at 18,000. This a multi-use facility, that is used for both soccer and track & field, but also for concerts and other events. I’m not sure exactly how new the track surface is, but it’s new, and it is a fantastic blue color with gray. It looks awesome. And for the fans, it’s nice to have covered bleachers. If you are interested, results from the Gugl Games will be available HERE.